Hwy 101 mile marker 155. 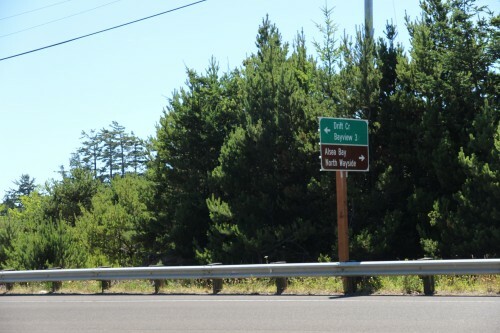 Alsea Wayside (on the North side of the historic Alsea Bay bridge) consists mainly of a parking lot and an informational plaque. The Wayside does contain a KOA campground. But there is an interpretive center on the South side of the Bridge. It is located on Spring street, just off Hwy 101. 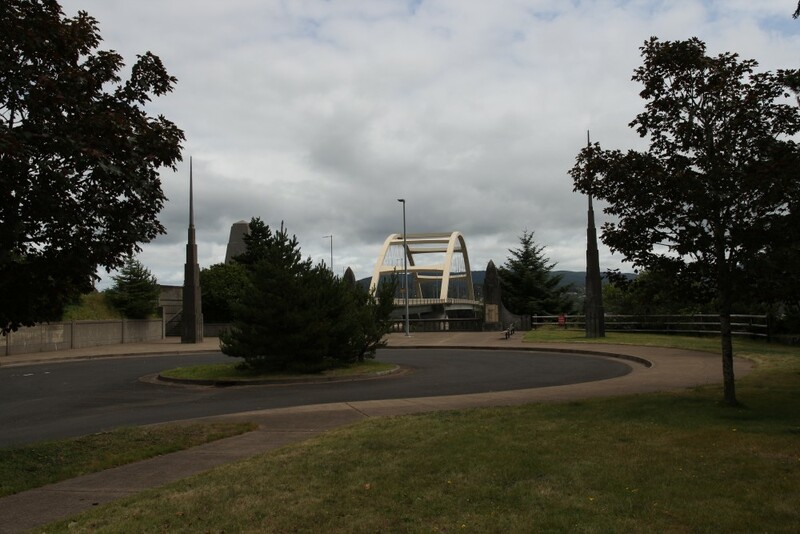 Here is the parking lot, with the bridge in the background. 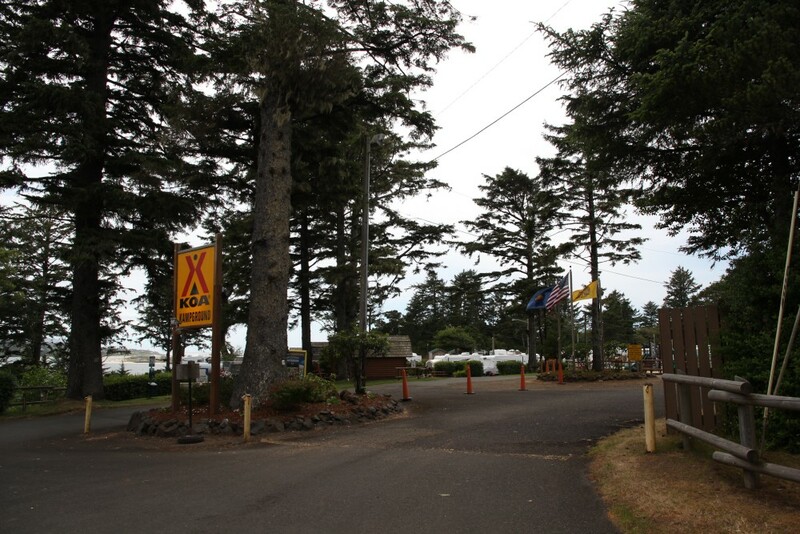 The Wayside contains a KOA campground.